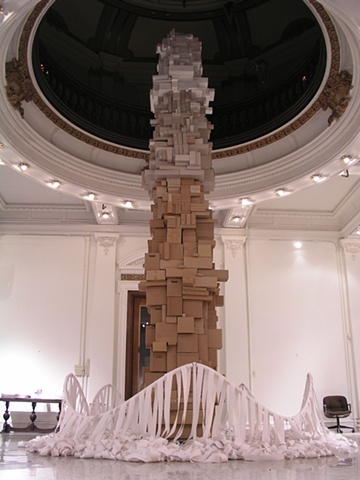 This piece was created using post-consumer paperboard boxes such as Kraft macaroni & cheese, cereal, soap, toothpaste, beer, etc. The paper below is heat sensitive receipt paper. The piece no longer exists. Venue: The Carnegie Center for Visual and Performing Arts, Covington, KY.